This report was submitted by our team as IBA Karachi Project in 2001 and hereby reproduced with permission and compliments of thesis team for academic reference only. 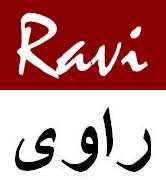 Ravi Magazine doesn’t take responsibility for the accuracy as now. Colgate was founded in the United States in 1806 and for the first 100 years, its business focus was only there. However, in the very early 1900’s, the Company began a very aggressive expansion program that led to the establishment of Colgate operations throughout the world. Today, Colgate-Palmolive is a $9 billion company, marketing its products in over 200 countries and territories under such internationally recognized brand names as Colgate, Palmolive, Ajax, Fab, and Mennen as well as Hill’s Science Diet and Prescription Diet. To meet the needs of this vast world, Colgate sets and attains the highest standards for our products and our company. Quality is the hallmark of everything we do. So, too, is consumer value. We continually work to understand consumers’ changing needs, and then meet those needs with innovative products that are affordable to the greatest number of people. We are also sensitive to our environment, and work to fulfill our business mission in ways that will not be harmful to the delicate world in which we live. By balancing all these elements, we try to live up to our vision of becoming the best truly global consumer products company and a responsible and contributing member of the global community. Colgate Palmolive is one of the largest ventures by the group. With assets of more than Rs. 400 million and a turnover of Rs. 1500 million, it has emerged as one of the largest corporations in Pakistan. The introduction of Colgate Palmolive in Pakistan was novel in the sense that unlike other multinational ventures, the local partners were allowed to introduce and manufacture new brands under the Colgate Palmolive flagship. However, strict checks on quality were imposed. Colgate Palmolive Pakistan has an agreement with Colgate Palmolive (USA), under which it pays royalty to its parent company only on brands, which use the words “Colgate” or “Palmolive”. Mission Statement: To provide the best quality products to consumers to fulfill their entire household needs. Like any other organization, Colgate Palmolive functions in an environment, which influences nearly every aspect of its operations. The macro environment consists of elements that affect all firms in the market. The factors affecting the operations of Colgate Palmolive has been discussed as follows. Changes in characteristics regarding human population, affect all companies, especially marketing firms. Colgate Palmolive being a consumer product marketing organization has also not remained unaffected. Rapid urbanization has greatly influenced its marketing mix. Its products are more focused on the urban market. Similarly it has also successfully blended the change in the occupational priorities of our social setup (from small-owned businesses to professional jobs in its promotional campaigns, laying more emphasis on the working class. Similarly, while promoting Colgate toothpaste, the company has focused on dental statistics of the population. The information regarding poor dental health of kids was efficiently used in Colgate’s advertising campaigns. Changing gender roles have also affected the company’s marketing plans. For example the detergents being marketed by the company include male perspectives in their advertising campaigns, a concept considered totally unfeasible two decades ago. Lifestyle, values, and beliefs, all affect the marketing programs of companies. For Colgate Palmolive, the change in gender roles has had a great impact on its marketing campaigns. The advertisements aired on behalf of the company, reflect this change, such as a more casual, family atmosphere, and often two income households, shown in its ads. A very important concept of our social setup is the joint family system. Te relationships within this system are given high importance in our society, which Colgate Palmolive keeps in mind while adopting ideas from CP (USA) for implementation in the local market. The overall economic environment has a major effect on firms, especially those that have maximum consumer interaction, CP being a prime example. An overall economic boom brings in increased sales for CP. Since Pakistan has an agro-based economy, the impact of crop production is quite profound on CP’s sales level. For instance, when Pakistan had a bumper cotton crop in 1991-92, the sales went up by leaps and bounds in nearly every category. Managers at CP closely monitor economic forecasts and plan production level accordingly. Rising inflation is also another area considered by CP while marketing its products. Introduction of Bonus as an inexpensive detergent, marketing of Brite in cheap sachet packs and introduction of twin, Colgate toothpaste and toothbrush packs were some steps taken by CP to provide affordable products with value to customers. The political and legal forces operating in our environment also affect Colgate Palmolive. Colgate Palmolive tries to maintain an active link with agencies such as, Monopoly Control Authority, and Securities and Exchange Commission. Similarly regulations by the tax authorities, and Customs are closely followed. New legislations, especially those concerning import duties are closely observed. Colgate Palmolive also supplies products to various government agencies, so that government policy regarding expenditure has a direct impact on sales. Technology and innovation, at CP, are focused mainly at providing better products to its customers. New technological procedures were incorporated in its manufacturing operations in the recent past, which made it possible for CP to produce products at competitive prices. Similarly, adoption of information technology, (IT) tools has ensured efficiency, and effectiveness of managers at CP. A firm is particularly impacted by its microenvironment in a variety of ways. The microenvironment can itself be further divided into two. These include the external and internal environments. The total market according to the definition includes people with needs to satisfy, possessing purchasing power, and the willingness to spend. For Colgate Palmolive, the market consists of literate middle class, and upper middle class people, with average, and above average income. Locally manufactured raw materials. Most Colgate Palmolive’s manufacturing needs are, however, fulfilled by local suppliers. Maximum effort is made to ensure an effective supply chain, and to avoid shortages. Colgate Palmolive has an efficient market intermediation setup. Good relations with whole sellers, and retailers, are ensured. Colgate Palmolive’s strong distribution network is one of its competitive strengths. This network is maintained through both professional and personal ties. It is due to this strong distribution, Colgate Palmolive has a very strong presence in the market, even in small rural areas where other MNCs have failed to penetrate. Colgate Palmolive has a big production setup. It has two manufacturing plants working at full capacities. These factories are situated at Kotri, Sindh, and near Swat, NWFP. Clean, hygienic, and friendly atmosphere is maintained at these factories. In spite of being a marketing oriented organization, a lot of emphasis is laid on efficient financial management. Colgate Palmolive’s financial department consists mainly of qualified cost accountants. The financial division is quite active. Colgate Palmolive doesn’t have a specific Human Resource or Personnel department. The administration looks after basic Human Resource functions, while most of the recruiting, and selection procedures are handled by senior, and middle level marketing managers. The company realizes that the absence of a Human Resource department is a major drawback, and plans to have one very soon. Colgate Palmolive has its head office in Karachi. There are other zonal offices at Lahore, Peshawar, Hyderabad, Multan, Quetta and Islamabad. These zonal offices take care of their specific allotted areas. Thus, for a company with such a wide consumer base, Colgate Palmolive is ideally located. Research and Development: Colgate Palmolive has an active R&D department. Studies are held at a regular basis to encourage the spirit of innovation. Similarly, training sessions are also organized. Workshops in collaboration with Colgate Palmolive (USA) are also held. Colgate Palmolive enjoys a healthy image in the market. The fact that it is an MNC is a big contributor to its image building exercise. However, the management of Colgate Palmolive believes in a unique philosophy. Unlike companies, such as Nestle, and, Johnson & Johnson, who believe in promoting the products with the company’s name, Colgate Palmolive believes in creating strong brand names and a unique image for each product. 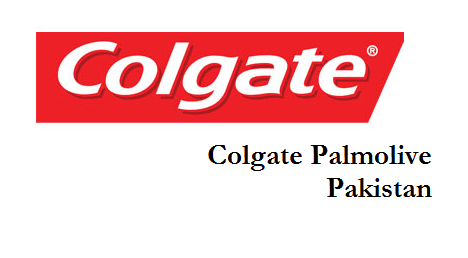 Colgate Palmolive has largely been successful in doing so because consumer behavior in the market has shown that they have come to identify products of Lever Bros and Proctor & Gamble, with the respective company names more then with the brand names themselves, which has not been the case with Colgate Palmolive’s products. Colgate Palmolive’s strength lies in its strong marketing team. Even while working within a small budget, the team has delivered and carved a niche out for itself in the consumer goods market. Its aggressive strategies are clearly reflected in the marketing campaigns of Bonus VS Wheel, and Express VS Ariel. Colgate Palmolive’s marketing efforts have been particularly strong in the promotional, and the distribution aspect of its marketing mix. Lack of capital, and inadequate financial resources, is a big weakness for Colgate Palmolive. Facing the onslaught of huge MNCs like Lever Bros, and P&G, requires a strong monetary backing. Since Colgate Palmolive, is basically sponsored by a local group (Lakson), their financial background is comparatively weak. Growing demands for consumer goods, especially branded items, represent an ideal opportunity for Colgate Palmolive to cash on. Similarly, positive economic signals, economic growth, and the end of recessionary periods around the globe present bright economic marketing prospects for Colgate Palmolive. Continuous onslaught by other FMCG companies, especially Proctor & Gamble, is a big threat for Colgate Palmolive. Proctor & Gamble has captured huge market shares from Express, Brite, and the Palmolive soap. Its aggressive marketing strategies pose an ever-increasing threat to Colgate Palmolive’s marketing efforts. Colgate Palmolive Pakistan prepares its strategic marketing plans for all its products categories division. Separate marketing plans are made for key brands like Express Brite, max and Colgate. These plans are formulated by the brand management teams and are carefully reviewed semi annually. Progress reports are regularly submitted to the top managers. Oral Care Product category at Colgate Palmolive includes the three brands. Colgate classic toothbrush commands a huge market share. It ranks second after Shield in the branded category of toothbrushes. Palmolive is one of the most popular brands worldwide but failed to make a big impact in the local market when it was introduced in the 1980’s. Aggressive marketing by Lever Brothers’ brand Lux was one of the reasons for its moderate success. In spite of its failure to gain the top slot, Palmolive still commands quite a large market. This is another personal care brand offered by CP. It is basically a semi-medicated soap competing against brands like Safeguard and Lifeboy gold but unlike these brands this is targeted towards the middle and the lower class. Fabric care division is the biggest revenue earner at Colgate Palmolive. In this area the competition amongst brands has intensified to a great extent over the past few years. Express is the best selling detergent in the country. It’s Express that introduced the concept of poly bags in Pakistan. It successfully dislodged Surf from the top position but is facing resistance from Ariel, being marketed by Proctor and Gamble. Express was changed to express lemon to compete Surf’s conversion to Surf Excel. Also included in the Express series is Express bar targeted towards those who prefer soap to detergents. Brite is another popular brand. For years it was the market leader in Pakistan. Brite is available in convenient sachet packs and is targeted more towards the middle class. Brite underwent a similar conversion process like Surf and Express. It was first changed to double action Brite and later to Brite total. Bonus is aimed at the middle and lower middle class. Its main competitor is wheel being marketed by Lever Brothers. Texapol is another detergent manufactured by Colgate Palmolive. It is basically made up of left over scrap and is very cheap. It is marketed in only rural and semi-urban areas. Aim is another product targeted towards the rural area. The competitive environment also has a big influence on Colgate Palmolive’s marketing programs. Colgate Palmolive mainly competes with two other huge multinationals, namely, Lever Brothers, and Proctor & Gamble. It also competes in some categories with Zulfiqar Industries, and Transpak Corporation. The brand war between these fast moving consumer goods (FMCGs) marketing companies is especially tough in the detergent and toothpaste market. Brand Competition: brand competition exists between similar products. For example, in the case of Colgate Palmolive, Colgate toothpaste with Close Up, English toothpaste, and Macleans. Express detergent competes with Surf Excel, and Arial in a similar fashion. Substitute Competition: this competition exists between products that satisfy the same needs. Incase of Colgate Palmolive, Colgate toothpaste competes with Dentonic, and Khas tooth powder. Similarly Express competes with detergent bars and soaps. Donge, Colgate Palmolive’s premium personal care brand competes with imported face washes. General Competition: In a more general sense, Colgate Palmolive competes with every other company for a share in the consumer’s budget. Colgate Palmolive believes in not only building its differential advantage over the competitors but also in maintaining it through constant research and development. The research efforts of Colgate Palmolive are channeled towards constant improvement of its product, finding out new and improved ways of reducing its costs, and exploring new opportunities for promoting its products as compared to its rival products, such as English, Macleans, and Pepsodent toothpaste. In view of the ever-increasing importance of the R&D function in its organization, Colgate Palmolive has increased its research and development budgets over the last few years. Why Colgate Palmolive invests in research and development? Competitive Pressure: Colgate Palmolive needs to develop and market new products more quickly than ever before, since new products (such as Close-up’s Ultra whitening Gel), are being launched by rivals, as well as new brands in the existing product market are flooding the market (Pepsodent, Ora toothpaste). Thus research is required to find out what current and potential competitors are doing. Making a mistake can be very costly: Marketing is expensive and a failed marketing campaign can be very costly to Colgate Palmolive. So research is vital for effective implementation of marketing operations. Growing customer expectations: with the vast array of new products in the market such as English, Mcleans, Close-up, Sparkle, the customers have plenty of variety to choose from and thus, customer expectations are higher than ever before. There is thus a need to quickly identify any problems that the customers are facing with regard to the product, for e.g. if the toothpaste is causing allergic reactions to some people, then Colgate Palmolive needs to look into this problem and quickly come up with a solution. Colgate Palmolive has a well-established marketing research network to rely upon. Not only does it utilize information from secondary sources such as published reports on FMCG companies, but also has its own Marketing Information System (MKIS) within the organization, and frequently, Marketing research projects are undertaken. Marketing Information system has been providing up to date, information about the competitors sales information, their marketing strategies, and also pertinent timely information about the market demographics, the changing tastes and trends, information about the sales and demand of substitute products, and any product that might be a threat to the Colgate toothpaste. Soon after its launch, Pepsodent was spotted by Colgate Palmolive to be a potential threat to the Colgate toothpaste in the subcontinent market, and thus Colgate Palmolive intensified it marketing efforts for the toothpaste. Colgate toothpaste had till then been primarily advertised as a toothpaste that strengthened teeth, but later advertisements stressed that Colgate was a toothpaste that fought plague, and freshened breath, besides making them strong. Colgate Palmolive has a computerized marketing information system, whereby the company maintains all sales records, and captures market data as mostly relayed by the sales people. Relational databases are maintained, which store data on customers, suppliers, changing market trends, as well as sales data. Marketing Research Projects are carried out as and when required. These projects are mostly started at a time when a new product is ‘in-the-pipeline’. Not only does Colgate Palmolive does research to ensure that it is going to make the right kind of product but it also likes to make sure that the product is launched at the right time, the right way, and in the right market. Thus marketing research projects are carried out to ensure that the launching goes right. Colgate Palmolive uses both primary, as well as secondary data while conducting research. Primary data primarily consists of forms filled out by the customers at the retailer end, as well as retailer feedback on customer preferences. Usually both of these are utilized whenever Colgate Palmolive conducts a formal research, such as for the launching of a new product. When the Colgate Palmolive was launching the Colgate Palmolive toothpaste in the new packing, both of these forms of primary data collection were made use of. Important information regarding competitor performance can also be obtained through primary and secondary research. Such a practice of collecting information about competitors in the case of secondary information is called as Competitive Intelligence. Colgate Palmolive likes to collect fortnightly data about the sales of its own product as well as those of competitors by geographical location, in order to keep up with customer preferences and make any necessary changes in its marketing mix. Colgate Palmolive’s research department if highly sensitive to any changes in the sales of rival products; English toothpaste, Sparkle, Pepsodent, Mcleans. Important sources for acquiring secondary data for Colgate Palmolive are the published journals on ‘Fast Moving Consumer Goods Companies (FMCGs). Colgate toothpaste is a star product of the company. With high growth rate and an equally high market share it is one of the most popular family product in the world. Core Product: The core product of Colgate Palmolive or the idea sold through Colgate toothpaste is, ‘something that enables clean, healthy, strong teeth’. One of the characteristics stressed the most in all Colgate toothpaste advertisements is, that it leads to strong, healthy teeth. The presence of calcium in the toothpaste is thus stressed since it’s widely believed that calcium strengthens teeth. Actual Product: The actual or the physical form, in which the core product is sold, is the white fluoride, and calcium based toothpaste, contained in a squeezable tube. Augmented Product: Any additional features to the actual product (necessary to make the product functional) are augmented part of the product. Social appeal and attractiveness through brighter teeth and fresher breath are important augmented features of Colgate Toothpaste. Colgate Palmolive has a large market share, which is increasing at an increasing rate. Thus it is clearly in the growth stage. The brand management team feels that its growth stage will continue for at least another half a decade and then it will approach the maturity stage. Colgate has been able to evolve all these images into one brand, Colgate Toothpaste. Colgate toothpaste because of its multidimensional image is often refereed to as an all rounder brand. Price and quality are thus major attributes through which Colgate is positioned. High quality for a complete dental care and premium pricing are the major positioning theme. According to CP’s marketing tem Colgate’s differential advantage is its all rounder capabilities. Its ability to fight tooth decay, eliminate bad breath and give strong white teeth under one brand label is why it’s the most preferred brand in Pakistan. Ever since its introduction in Pakistan, Colgate has had a consistent target market. Unlike other brands Colgate has never altered its target market segment. Though there has been some expansion in recent years. Colgate is targeted at middle income and upper income families. Lower middle and educated families with white-collar jobs are also included in its target market, Colgate through its advertisements focuses on its key concept that is toothpaste of the family theme. A few years back Colgate was introduced in the semi urban and rural areas. Again educated middle and upper class are targeted here. The marketing team of CP believes that Colgate toothpaste has a lot of growth potential and the saturation point is quite far off. Colgate toothpaste enjoys very strong brand equity both internationally as well as in the local markets. In fact it was this brand equity that led to the introduction to the Colgate toothbrush in the country. Regular market surveys conducted by research consultants hired by CP (Pakistan) reveal that Colgate’s brand equity has been increasing at a rapid pace. More and more people now have a favorable image of Colgate and more people place as a first choice now against the previous trend when the oral care brands like Macleans, Shield and signal enjoyed very high brand equity as compared to Colgate. Colgate toothpaste comes in an attractive, eye-catching red colored pack. The CP marketing team feels that packaging of product is of vital importance and the emphasis on this area on this area can be gauged by packaging innovation such as introductions of polybags in case of Express, paper wrappers in case of Palmolive against card packaging of soaps and Max in plastic bags. Similarly Colgate has also been marketed with user-friendly packaging. A push-up lid replaced the cap, however no change was made in the tube style. The red pack of Colgate is very attractive and eye-catching and consumers find it easy to trace it from the retailers’ shelf. The packaging highlights all use instruction and multiple advantages of the paste. Similarly the claim that Colgate is recommended by more dental associates in the world as compared to any other toothpaste is also clearly highlighted. This, the management feels adds to the brand equity. One element is however missing out from Colgate’s label of oral care, products have a customer suggestion or complaint address mentioned in their packages. This is not present in the case of Colgate. Project the product on its way to the consumer: Keeping till functional especially in mind, CP has untraced Pre “flexi” tube, which has added durability to the toothpaste package. The flexi tube protects the tube from breaking and causing product spills, while still on its way to the consumer. The tube is further concerned in a cardboard box to protect the paste from concerning into direct contact with eat, deist, intense sunlight. Not only does the flexible plastic packaging protect the product on its way to the consumer, but it also ensures that the tube does not break and retains its original shape ever after repeated usage, in fact till the using end. The primary concern of the middle mean regarding packaging is that it should be easy to store, possess attractive packaging to attract customer and require minimal sales from middle man, possess self explanations labels and finally the product should possess a high turnover. Colgate Palmolive keeps these middlemen concerns in mind and has there desired a suitable packaging. The Colgate toothpaste is packaged is an easy to store packaging design and sizes. The labeling itself explanations, since the toothpaste is the most popular and largest selling toothpaste in Pakistan, the turnover rate is also very high. The red and color of the Colgate toothpaste together with its convenient flexi tube packaging has proved attractive to the consumers. The brand loyal customer of CP toothpaste is familiar with red and white packaging and can easily spots it in the supermarket shelves. CP packages the CP toothpaste is its distinctive red and white colored packaging with the familiar Colgate trademark. This packaging color combination is unique only to the product line CP toothpaste. The different sizes of CP toothpaste are all packaged in the same packaging. Such a strategy is being followed so that the product is district not only from the competitors but also from any future product line in toothpaste that Colgate may introduce. Also, CP has never hesitated in pursuing the strategy of changing the package whenever it has felt the red. This occurred when, the new and improved flexi tube with the flip cap was introduced. The initial package was the traditional metal tube, then the flexi tube and finally the flexi tube with the flip cap was introduced. Labeling is closely related to packaging. It is the part of a product that carries information about the product and the seller. A label may be part of a package (as in the case with CP toothpaste) or it may be a tag. There exist a very close relationship between labeling, packaging and branding. CP toothpaste carries a brand label which the CP toothpaste name. Along with the brand name often a tagline is also printed, which in the case of CP toothpaste is ‘For Stronger, healthier teeth’. Gives information about the product’s use and performance etc. CP toothpaste carries instruction that it should be used after every meal. It also emphasize that CP has calcium, which makes teeth stronger, healthier. The plague fighting ability is also highlighted in the descriptive packaging. CP keeps in mind, the statutory labeling requirements when packaging its toothpaste. The size the net weight of the toothpaste, along with manufacturing date, retail price, sales tax, manufacturer’s name and origin are clearly printed on the package. The absence of any of the above information is considered as illegal practice. In addition to the above, CP also mentions, the ingredients in the toothpaste. Further the packaging is environmentally friendly; whereby the tube as well as cardboard can be recycled. Good packaging can improve customer acceptance through improved color, design and style, which give the product a differential advantage over the substitutes available. Packaging has increased the brand equity of the product and the CP toothpaste is CP’s star product. The competitions in the oral care category especially in the toothpaste market very intense. For nearly a decade, a cutthroat battle has been going on between brands belonging to established FMCG companies. Among all these competitors, Medicam has the largest market share. It comes very close to overtaking Colgate in terms of sales. The USP of both the products are however widely different. Colgate is a more general product for overall dental health while Medicam targets people with toothaches and those suffering from dental decay. Due to poor oral hygiene a large number of our urban population suffers from these problems and hence Medicam has been able to capture a large chunk of the market. A couple of years back when Medicam’s share was increasing at a very high rate, there were plans of Colgate to introduce a similar specialized product with Colgate brand name. However, the company decided against it and continued to concentrate on its original USP. The introduction of English toothpaste in the market by a competing group was another challenge faced by Colgate brand management team. English toothpaste was targeted at the middle class and was priced at nearly at half the price if existing brands. Its promotional campaign focused on its cost-leadership strategy and the brand was successful in the market leader for a brief period. Close-up being marketed by Lever Brothers is another prominent player in the toothpaste market. Premiumly priced close-up is targeted at the upper class. Close-Up’s marketing strategy lays a greater emphasis on shinning teeth and fresher breath for social acceptance rather than on dental problems. Touchme introduced Minto in the market a year ago. Minto adopted a strategy similar to that of English but laid emphasis on both price and quality. Macleans some years back used to be market leaders but have lost its share mainly due to ineffective promotional efforts. Pepsodent, Signal 2, Forhans and Ora 3 are other competing oral care products Colgate has competition with. The shares of this toothpaste have been declining. When Colgate was introduced in the market skimming pricing strategy was used. The price was higher than most of the brands. Colgate has persisted with its premium pricing concept ever since. Emphasizing on quality for product differentiation it has never used price cuts to increase its sales. Colgate’s price throughout the country has been the same. Though it has never decreased its prices in times of stiff competition the CP management have used discount offering like two in one pack, toothbrush packs and extra volume packs. This tact was however employed in face of increasing competition. The main pricing concept, however, has revealed around premium pricing. Today, Colgate is sold at Rs 27/- (75 gms), which is way above the competition considering that one of the main competing brand; English is sold at Rs.10. Like other products of CP, retailers and wholesalers are given quantity discounts, price discounts regularly. No matter where Colgate is marketed, the parent company has a lot of influence on the other members of the distribution chain and thus sufficient channel power. Since Colgate toothpaste is a convenience product, the management at CP wants it to be available to every retailer I the market where consumer might reasonably look for it. Thus, an intensive distribution policy is followed. Changes in the distribution environment. The Colgate Palmolive management realizes that the distribution environment will undergo a huge change in the coming period. Colgate toothpaste is a convenience good with huge dependency on the retailers. The retail outlet in Pakistan is going through a big change, new chains, and large supermarkets are replacing old neighborhood grocery stores. Rajani’s, TesMart and select stores are important examples. CP plans to enter into exclusive contracts with these outlets to gain effective sales management. Promotion is the most important element of the marketing of any consumer good item especially if it’s a convenience good. Since competition in the all care area is extremely intense, it is promotion, which brings out the differential advantage of a product. The management at Colgate Palmolive realizes the importance of promotion and huge efforts are made to ensure effective promotional planning and the success of all promotional campaign. All major product of Colgate Palmolive is heavily promoted including Max, Palmolive, Express, Brite and Colgate toothpaste. On an overall basis a push strategy is applied. This is directed towards the ultimate consumers with the intention to motivate them to ask retailers for their product. In turn the retailers, would request the product from the wholesaler and distributors. Persuasive promotion basically aims at convincing people that Colgate toothpaste should be their first choice amongst all the other toothpaste. On the other hand reminder promotion aims at constantly reminding people that the products widely available in the market. According to Colgate’s brand management team reminder promotion is of vital importance in case of all fast moving consumer goods and especially toothpaste’s. Many good products have failed just because their parent companies failed to focus on reminder promotion. Binaca and Natural toothpaste were pushed out of the market because if this reason. The decline of Sparkle and Signal 2 both market leaders a few years back can be attributed to the same factor. Promotional budgets at Colgate Palmolive are usually established at the beginning of the year but the management I always ready to adjust them, if such a need arises. The overall budget is set after analyzing after analyzing the long-term strategic marketing plans and their implementation. The basic budget is set in line with some objective or overall goal in mind. Revisions are usually made keeping in view the competition and promotional expenditure made by the competing firms. The promotion mix at CP. consists of the following in order of significance. A consumer advertising effort and not Business-to-Business advertising. Product advertising for indirect action i.e. it is designed to stimulate demand for over a longer period of time. Selective demand advertising i.e. it is directed towards stimulating demand for an individual brand. i.e. Colgate toothpaste and not a generic category of product. Competitive advertising since its advertising campaign is basically against other competing brands and focus is on its special features and differential advantage. Into an advertising program for achievement of a specific organizational goal relating to a particular product. After the campaign message has been decided and approved by the CP. top management, the brand management team decides over the media required to execute the campaign. The media-planning department helps in making this decision. For Colgate toothpaste, television is the most prominent media. Some advertising is also done through newspapers, magazines and on very small scale through outdoor media like billboards. Timings of advertising especially those that are aired on television are of great importance. The local television scene has undergone a huge change with multiple channels and large number of productions. This makes the placement of advertisement more difficult. Colgate Palmolive uses the services of certain advertising agencies like AD Track, which provides information regarding view ship and timing of advertisement. Similarly, Aftab Associates, a leading research firm also provides relevant data necessary to gauge the effectiveness of the advertising campaign. Once advertisements have been developed and aired, the company tries to evaluate the effectiveness of these advertisements. Recall the company conducts tests. One drawback as far as the total advertising campaign is concerned, is that Colgate Palmolive does not have its own advertising department like its competitors. Due to this the company has to rely on its agency. Free small sized samples of toothpaste are given to doctors, dentists and general consumers. The per head cost of sampling, according to the management, is high but results are much more positive if compared to advertising. Free souvenirs and momentous like pens, key chains, T-shirts etc are distributed to consumers, especially students. Sales contests are organized amongst retailers and prizes are distributed amongst the winners. Annual conferences are held. Doctors, dentists and the Colgate’s sales team attend these conferences. These conferences not only enhance sales but also help in image building. Regular presentations are arranged for dentists and medical students. Workshops are also frequently organized in medical colleges. The aim is to convince future dentists that Colgate is the best toothpaste as far as quality is concerned. The public relations activities are undertaken as regard as Colgate toothpaste is concerned focus on creating a healthy image of the brand. Sponsorship of community events, distribution of customer newsletters among the dental community are important examples. Publicity for Colgate toothpaste usually takes place through mention in newspapers, medical journals and other magazines. Despite of being a capitalistic concern, Colgate Palmolive as an organization is aware of its social duties and responsibilities. Realizing this, it has launched several programs for its community welfare. One of these programs is the “School dental care” program. Being sponsored by the company, dental surgeons along with Colgate’s brand management team visit schools frequently and organize dental clinics on a regular basis for complete checkups. These programs, the company feels are not part of their promotional efforts since these programs are not advertised nor are the products promoted through these events. Colgate Palmolive is one of the top multinationals operating in Pakistan. Colgate toothpaste is one of the leading brands. It is the largest selling oral care product in the country and its market share is increasing day by day. The team managing the brand is dynamic and in spite of limited resources, has been able to come up with new innovative marketing strategies, giving Colgate a competitive edge over other oral care products. this is such a good report. covers alot of things i was looking for. really appreciate this.